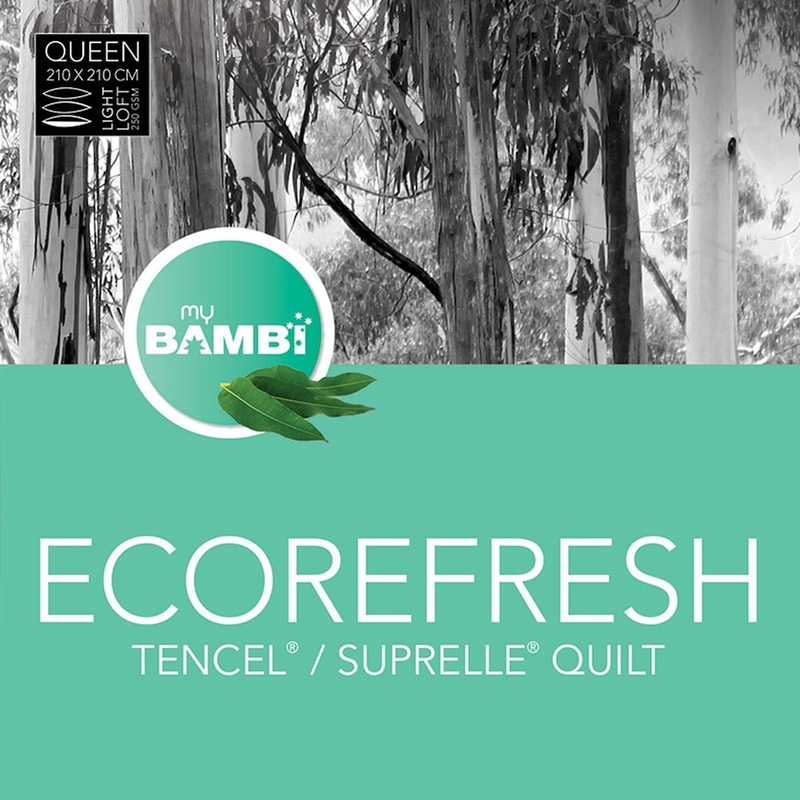 The Bambi Eco Refresh Tencel and Suprelle Blend Quilt is a beautifully soft, warm, lightweight (250gsm) quilt. The Tencel component helps to wick moisture, while the Suprelle component adds loft and durability to the quilt. Made from 50% Tencel and 50% Advansa Suprelle with a luxury 100% Tencel Sateen cover, the Ecorefresh Tencel & Suprelle quilt is incredibly soft and lightweight. Loft: A beautifully soft, warm, lightweight (250gsm) quilt.